Similar in size and shape to Rufous Scrub Robin but with longer tail. 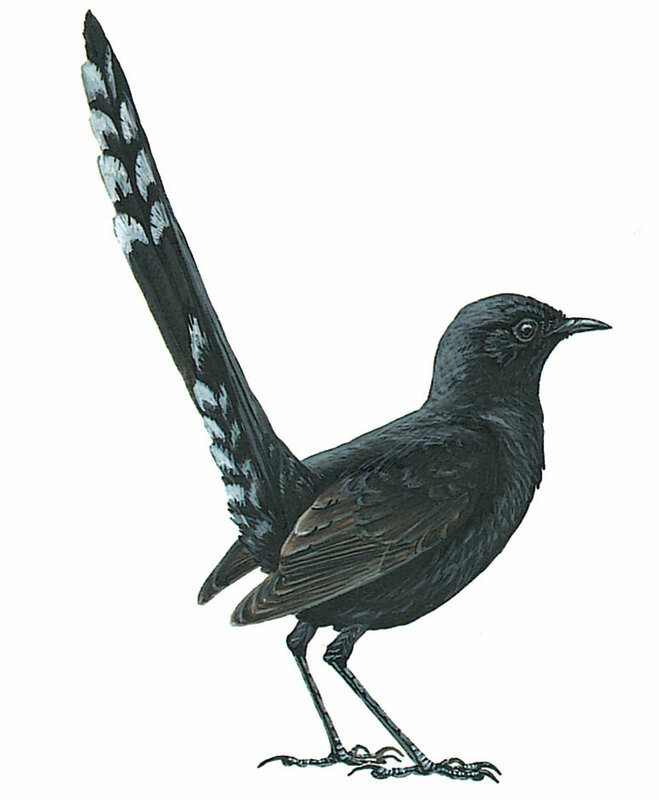 Appearance unmistakable: entirely sooty black plumage with browner wings and prominent white tips to undertail-coverts and outer tail-feathers (obviously visible from below, when tail is swept upwards over back and fanned). Skulking or close to cover, often on ground but sings from exposed perch.